Founder and director of La Mandarina de Newton SL. Before creating her own company, Irene Lapuente accumulated almost ten years of experience in science communication, education, museums, media development and project management. She has held professional positions such as Head of Communications of the Catalan Institute of Paleontology (ICP) and the LSI Department of the Polytechnic University of Catalonia (UPC). She had also worked as a member of the Education Department of the CosmoCaixa Museum, Barcelona. She also worked as secondary school teacher. She has designed co-creation processes in the fields of culture, art, science and education: From contemplation to participation and beyond with Tech Museum of California and Citilab (2009-2010), TalentLab with CSIC (2011-present), Common Grounds in Arts Santa Monica Science Lab (2011) and Science of the City (2011-2014). Coordinated the exhibition Dimension Nano in collaboration with the Catalan Institute of Nanotechnology (2012) and the organizational learning aspect of the Kukuxumusu Relocated Project (2011-2012). It also has a pilot project on co-creation of scientific concepts for children of primary education: Explorers and Inventors (2011-present). 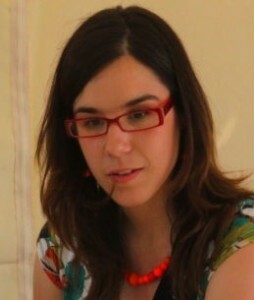 She has designed and facilitated workshops to promote metadesign in the cultural sector, for example in collaboration with the Center for Contemporary Culture of Barcelona, CCCB (2010-present). Her main interest lies in the intersection of learning, science and other forms of knowledge as the learning that derives from a situated body. She graduated in Physics from the University of Barcelona and has a Postgraduate Diploma in Science Communication (UPF) and a Diploma in Science Documentaries Creation (UPF). She has been involved with contemporary dance from an early age, with a degree from the Royal Academy of Dance in London. The interconnections between all these different ways of understanding the world convinced her that it was high time to explore further and to begin to cooperate with talented and creative people that shared her passion for creativity, culture and learning. These are the main motivations behind the La Mandarina de Newton project.